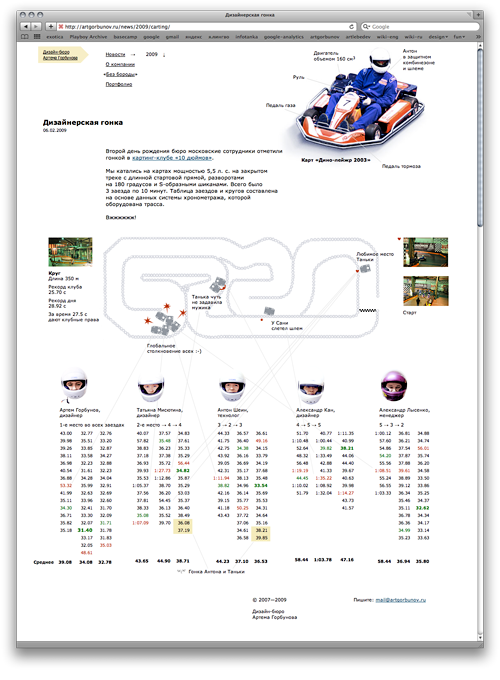 We celebrated the second anniversary of Design Bureau at a carting club and made infographics about the race after the contest. 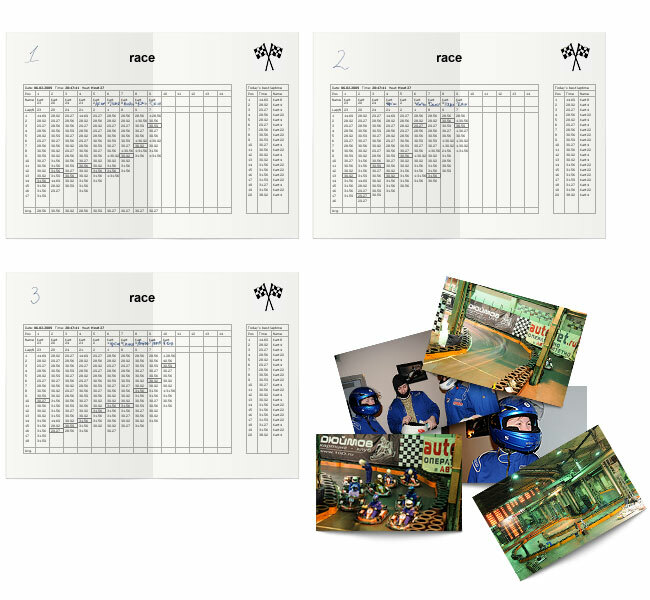 The available data consisted of the personal results of participants (printed after each round), memories about the most exciting moments and pictures. We assembled this information together: the remembered moments and points of interest are marked on the track and the time of accidents — in the race and lap table.